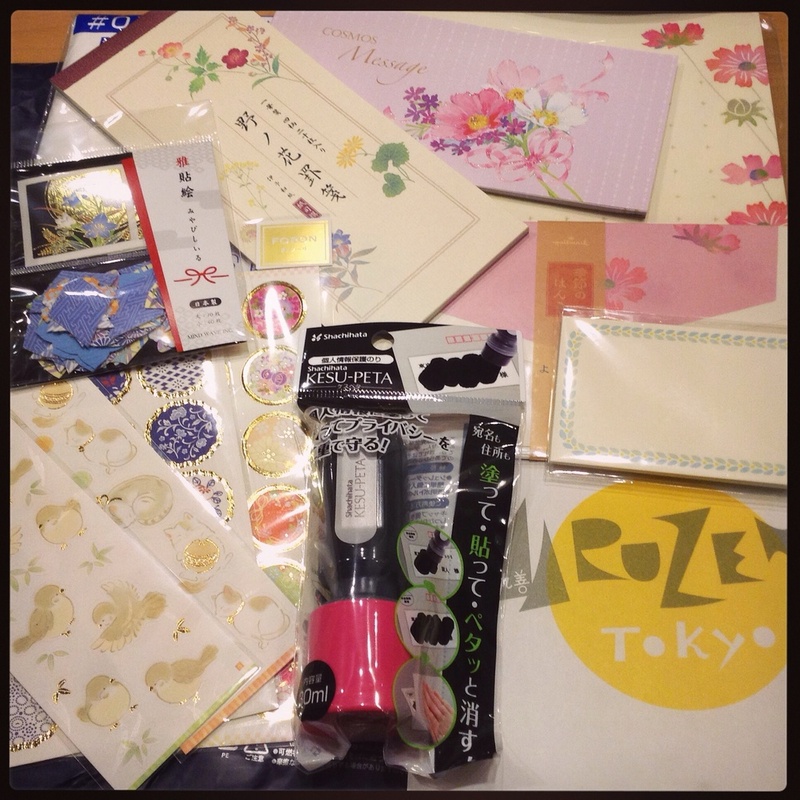 I dropped by Tokyu Hands for Frixion refills for work and also picked up some autumn stationery. Love me some seasonal letter sets. Hee hee. I have a habit that I think many stationery addicts can relate to: I'm always looking for reasons to buy a new notebook. One cool service MUJI has is that you can use their stamps to personalize items you've bought. Looking at the stamps, I had moment of genius. I purchased one of the grid notebooks and went straight to the stamps. 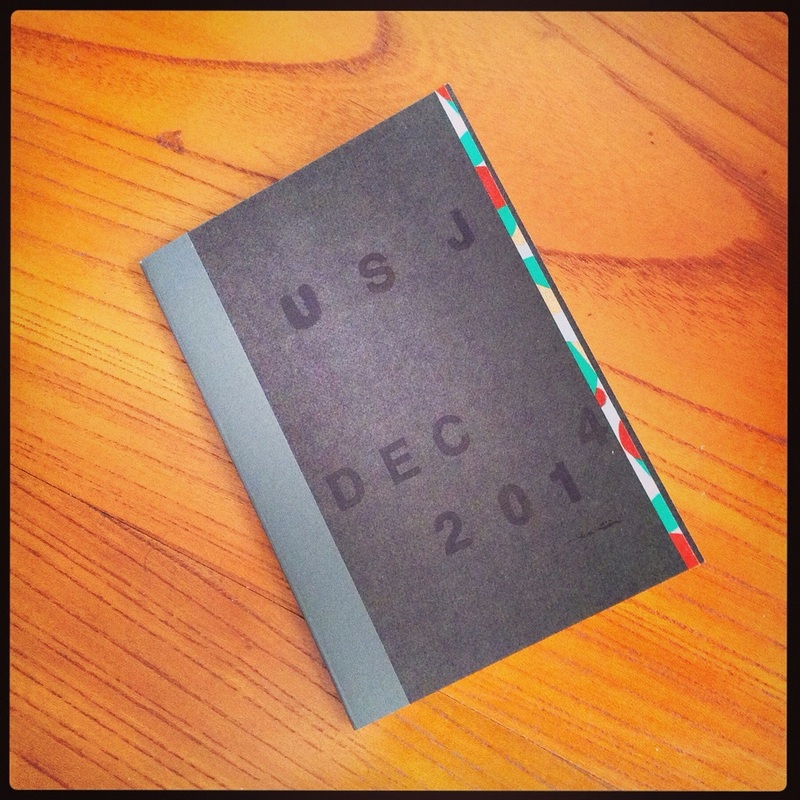 On the front I stamped "USJ DEC 2014" then flipped it vertically 180 degrees to stamp "TDS TDL OCT 2014" on the back. I'll write more details in a future post. The new version of this brilliant A4/A5 filer folder has an elastic band around it and. I really don't like that elastic band. So when I found the old version at one of my regular stationery stores, I picked up two. Just in case. As I went to the register, I spotted a small clear file with business card size message cards and envelopes. Exactly what I was looking for. I carry around some postcards, stamps and an address book in a small clear file and I've been wanting to add some cards, but they make the bottom half of the file thicker than the top and it bugs me so much I haven't been carrying them around. This is the perfect solution. I'm not a big Snoopy fan, but I had to have it. So I ended up with these items in my possession. Yay! 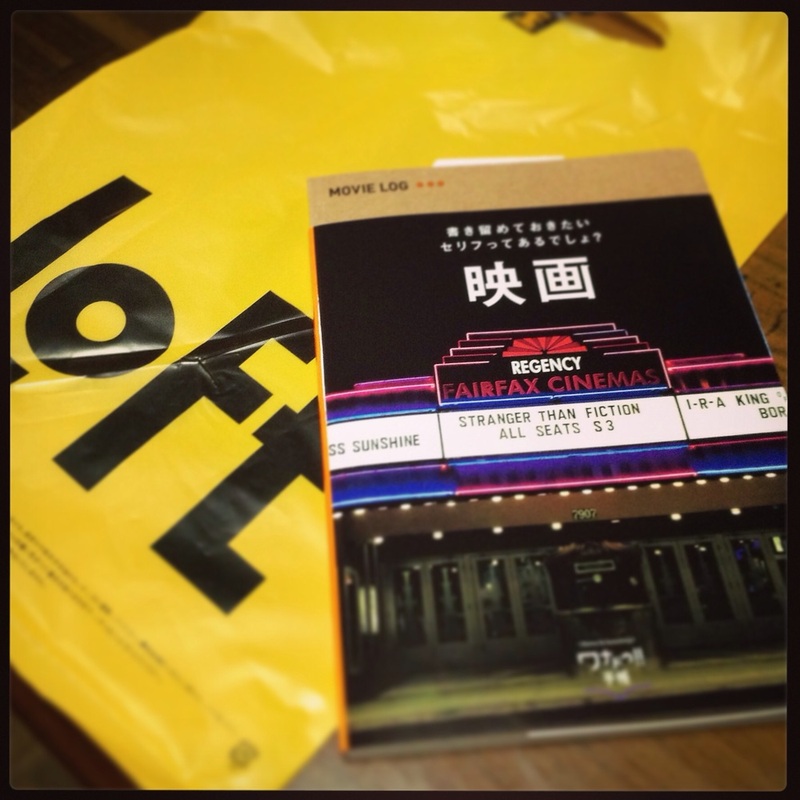 I left work and had dinner and dropped by another regular stationery/book store. Typically, I don't buy anything. I peruse the new displays (right now the 2015 schedules have come out), check the postcards, look through the stationery and let off a bit of stress, then I head back to my room to sleep. But maybe it was stress? I ended up picking up a few things. Halloween is still quite a ways away, but I thought of a cute way to use the letter set, so yeah. 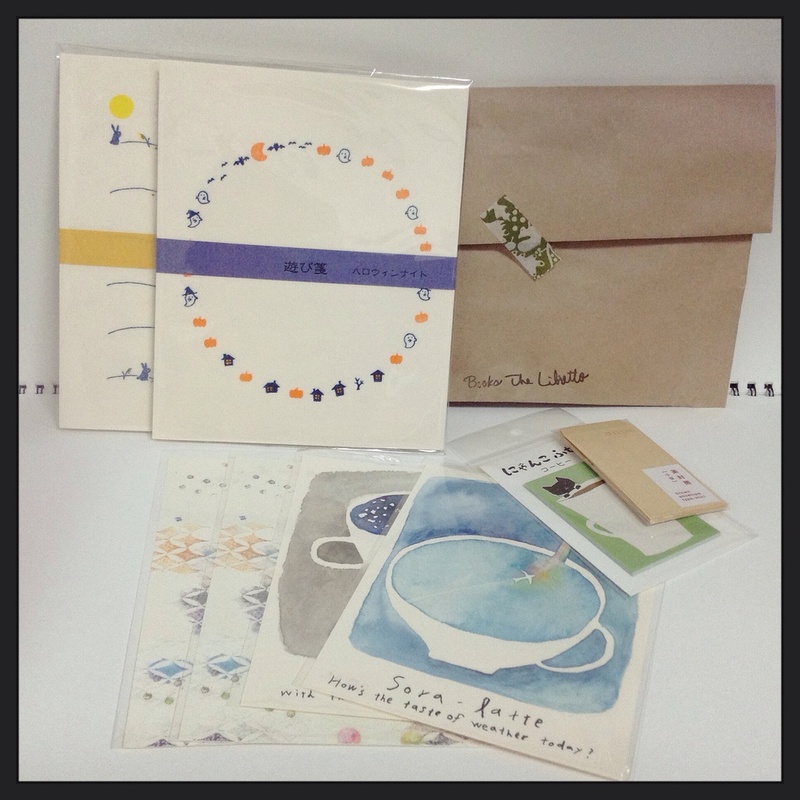 I also picked up some more Misako Morino postcards and teo of one at caught my eye, some sticky notes, a pack of mini envelopes, and a rabbit+moon letter set. As the weather gets cooler, the summer stationery gives way to warmer autumn colors and I've given in to temptation and bought a few things already. I was showing my mother some of my recent hauls on one of our regular Skype sessions and she mentioned wanting some autumn postcards. Which would be when my face lit up and I offered to pick up a few things to top off the package I had been putting together for her. Sometimes, actually quite often, I find things that I think my friends might like and I pick it up for them and may or may not send it off in a timely manner. Just a few things here and there because too much can make the receiver feel bad and that is totally the opposite of the point. But when it comes to my mother...'too much' isn't an issue and I know her taste in stationery pretty well because it's a lot like mine, so there isn't much hesitation about whether or not she will like an item. I dropped by Tokyu Hands I got a bunch from Kyukyodo, as planned, and checked some of the other cards that I personally didn't have a reason to get (because 8 had already bought lots) and picked out a good number of postcards and one more ippitsusen. I also picked up a few more Kyupodo postcards. 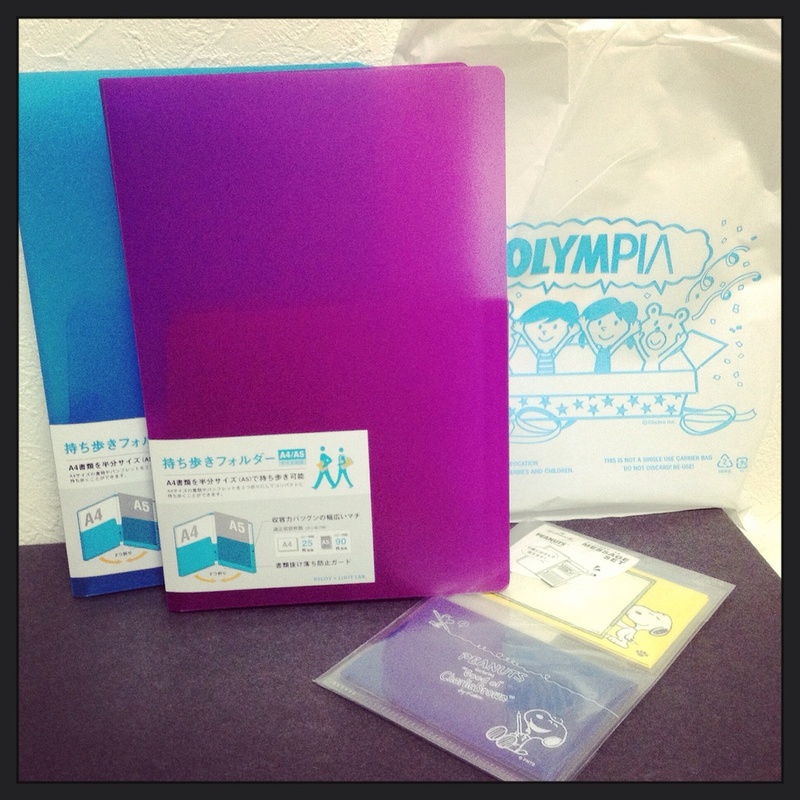 I ended up leaving with over 3000yen worth of stationery. Heehee. Had my last morning shift for a while so I went to Maruzen and bought lots of stuff. That was fun. Took off from work early and dropped by the LOFT and bought stuff! Main item that I really wanted is the postage scale in the lower right. It looks like a postman! Picked up a few other things I needed. And leaves for a project. Hehehehe. Picked up an envelope to send stuff to my mom with another ippitsusen and found an amazing greeting card for a very good friend. Such beautiful design in letterpress. These cute imaginary retro-style ads that I can't get enough of. I want everything from their shopping area series. So amazing! As for the vine sticker tape...I needed that for a postcard that I made and sent yesterday, so there's only a bit left. I still had the backing paper in my purse, so I added it to the photo.